The healing paths of medicine, psychology and religion are coming together again. For centuries, the human being was viewed holistically and these disciplines were interconnected and integrated. Over the course of history they parted company and the body, mind and soul were studied and treated separately. Now, these healing paths are parallel and at times converging. Mental health practitioners today embrace physical etiologies for what was once a “thought,” “emotion” or “behavior.” They look to brain imaging and antidepressant medicine to bring their clients to greater mental health. Physicians are now more likely to refer their patients for bio-feedback, hypnotherapy, stress management and psychotherapy. Both medicine and psychology has pushed past the veil of religion to understand how spiritual practices affect the body and mind. Because the human being has an integrated body, mind and soul; these paths of healing will always intersect at various points. These intersections have many implications for physicians, mental health practitioners and clergy. By addressing these nexus points where physiology and spirituality meet, the practitioner can better treat the person. A summary of the clinical research of brain imaging of those engaged in spiritual practice helps us begin to uncover the mystery of how prayer affects the mind. It is important to say, however, that prayer and the mysteries of God are beyond measurement using a scientific model. One cannot research the unsearchableness of God’s divine energies and the holy mysteries of where the heavenly and the earthly meet; but what is searchable, understandable and replicable, one has an obligation (just as the desert fathers and healers of the ancient church did) to report their findings. In the early Christian Church, the human person, was studied by the psychologists of the day, that is the desert fathers and mothers, and the theologians who researched the human soul and its illnesses, by seeking a direct experience with the energies of God. The church fathers defined aspects of the soul, studied the passions, that is, the main soul sickness of each individual and discovered the healing method for each. The nous, or “eye of the mind” has been darkened as a result of the fall of Adam and Eve, and thus mental disorder entered the world along with physical and relational illnesses. Prayer, meditation, fasting, communion with the Saints, and other ascetic practices were all part of healing the nous. Most interestingly, these scientists of the soul, came to similar conclusions and understandings over many centuries and from different parts of the world. By comparing and contrasting Eastern Christian practices with modern psychology, one can explore how incense might be affecting the limbic system of someone who is struggling with Major Depression. One can look at how the medical community turned to spirituality to heal addiction through the 12-step movement of Alcoholics Anonymous, whose principles mirror that of the early church with repetitious prayers, sponsors, and a similar understanding of the human will. By examining the “counseling session” in the desert between the spiritual father and his disciple, one can learn how to deal with assaultive thoughts or logismoi. The human brain has an estimated quadrillion connections within it: that is more connections than the stars of the universe. 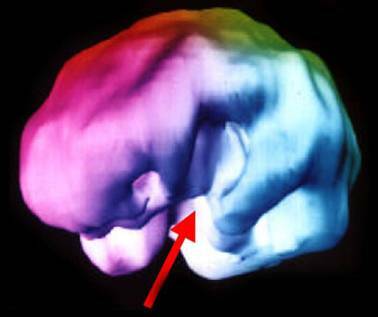 The research of Dr. Daniel Amen, using SPECT scan imaging has given us new information about human behavior, emotion and cognition. Through a basic neurological understanding of mental disorders, the clinician can educate their clients and better fit the therapy to their needs. Let us discuss the basic parts of the brain and their function before we talk about spiritual practice. The function of the prefrontal cortex involve organization, planning, judgment, and focus. The ability to empathize and have compassion takes place in this structure. The “thoughtful” person is one who thinks ahead and plans how to approach a situation rather than acting impulsively. 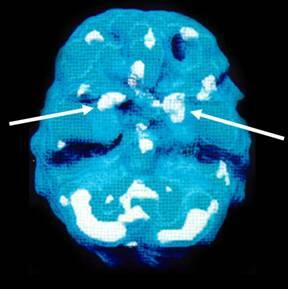 This part of the brain has been referred to as the “compassionate” part. When there has been injury to this area through head injury or drug abuse, we see problems of attention and impulse control, disorganization, poor judgment and lack of empathy. underneath each side of the brain. Too little activity in the prefrontal cortex creates problems of attention and impulsivity, while too much activity is correlated with obsessive-compulsive disorder, oppositional defiant disorder and anorexia. Balance is key and we will see later that prayer and meditation affect this area in a positive way; not surprisingly, since prayer involves attention and focus. The cingulate gyrus area of the brain helps us shift our attention. It is very much like the TV remote control of the brain that allows us to changes the channels. 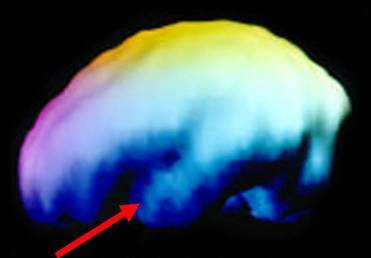 The posterior cingulate gyrus is associated with memory. 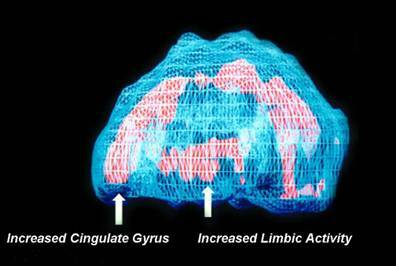 The anterior cingulate gyrus involves shifting thinking while the ventral cingulate gyrus, the shifting of emotion. When it is functioning well it allows a person to easily shift their attention from idea to idea. The person is able to see options, is cooperative and has flexible thinking. However, when the anterior cingulate gyrus is over-functioning, a person is stuck on the same channel. They suffer from obsessions, ruminations, worry and anxiety. People who struggle with addiction, obsessive/compulsive spectrum disorders, oppositional defiant disorders have problems with the cingulate gyrus according to Dr. Amen’s research. Notice the whitish streak across the brain. whitish area that represents overfunctioning. Serotonin reuptake inhibitors, such as, Prozac, Zoloft, and Paxil, are usually helpful for balancing the cingulate gyrus. Some herbs, such as St. John’s Wort and 5-hydroxytryptophan, (5-HTP), the building block of serotonin have been proven helpful. I believe that the spiritual practice of praying “the Jesus Prayer,” is helpful for this condition. The early church fathers teach us that praying, “Lord Jesus Christ, Son of God, have mercy on me” is necessary for the healing of our souls. It is a repetitious prayer, and in fact, it is said that when one practices this prayer, it will begin to pray automatically within our heart. This is helpful for the person who has a predisposition to think a lot and have something cycling in their head already. The apostle Paul’s admonitions to “pray without ceasing,” to “give thanks in everything” and to “take captive every thought to the obedience of Christ,” is for everyone, but perhaps it is especially helpful for the person who has a tendency to worry. When one prays this prayer, the mind relaxes and the soul is uplifted. Educating the client to think of their anxiety as stemming from an overactive cingulate gyrus can help them distance themselves from the disorder and look at skills and treatment alternatives, such as “distraction” therapy, reframing and cognitive restructuring. Another type of anxiety exists in the form of panic disorder, which is correlated with activity in the basal ganglia. Panic disorder often brings feelings of losing control, heart palpitations, shakiness, and the feeling that one might die or lose control. Panic disorder responds well to progressive muscle relaxation, hypnotherapy and the limited use of benzodiazepines. The temporal lobes lie underneath the temples and are associated with emotion, facial recognition, and spiritual experiences. Each side is involved with different functions. The dominant side, that is usually the left for right-handed people, involves processing language, memory, word retrieval, auditory processing and according to Amen’s research, temper and mood stability. In the non-dominant temporal lobe, usually the right in right handed people, we process music, vocal intonations, sounds, and facial recognition and possibly intuition. 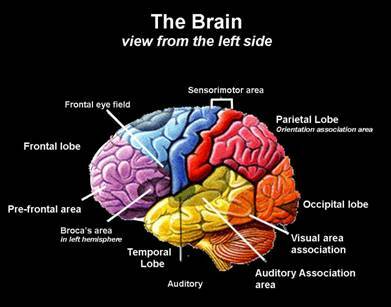 When one has a spiritual experience, we see activity in the temporal lobes. People who suffer from temporal lobe epilepsy report “spiritual” experiences both terrifying and ecstatic. The Canadian psychologist, Dr. Michael Persinger, from Laurentian University has induced what seem to be spiritual experiences by stimulating activity to the left temporal lobe by having participants wear a helmet, and inducing an electromagnetic field over that part of the brain. People report feeling a “spiritual presence” in the room, a sense of another being whether it be God, an angel or an alien. Persinger suggests that each lobe, the right and the left, has a part in a creating a sense of self that is interconnected. When this is disrupted, there is a sense of another presence. Due to this research, some might suggest that God is just a neurological process, a disruption or activity in the brain. But the research does not need to suggest this. On the contrary, just because we could image the neurological functioning of someone eating a chocolate chip cookie, viewing a breathtaking waterfall or hearing a wonderful symphony orchestra doesn’t negate the existence of these things. Perhaps, our way of communicating with God and his way of interacting with us might in part be measured in our neurology. The Christian church has always understood that there can be “false” spiritual experiences or spiritual experiences that do not emanate from God. Trauma to the brain, surgery, seizures, oxygen deprivation and psychedelic drugs can induce spiritual feelings. The limbic system is a network of fibers that interact with the cortex (the higher functioning part of the brain) to create a highly complex set of emotions and experiences. Research has suggested that déjà-vu, out of body experiences, illusions and dream-like hallucinations originate in the limbic system.,  The emotional coloring of our world and the setting of our emotional state is regulated by this system. It effects our sleep cycles, libido and appetite. The area of the brain might possibly be connected with the passions. It is not surprising that the Christian practices of fasting, prayer, chastity, and keeping vigil at night all seem directly related to the limbic system and are all part of subduing the passions. Dr. Richard Cytowic, a neurologist who in his research on synesthesia; a blending of the senses, suggests that there are more neuro-pathways going from the limbic system to the neocortex rather than those coming from the cortex to the limbic system. In essence, we don’t make decisions on logic alone, but rather through an emotional system that interacts with logic. It is because of this that we ascribe salience to our outer world, distinguishing the important from the less-important. In the limbic system, we experience a reality that is “ineffable,” that is, words cannot describe the experience. Once words have described the experience, it has shifted from the limbic to the neocortex. Stories of those who have experienced ecstasy and an enlightened state through prayer are most likely experiencing some kind of ineffable limbic system response. The limbic system is closely associated with the olfactory bulb which aids in our sense of smell. Scents and smells affect our mood. Bonding, motivation and emotionally charged memories are located in the limbic system. The use of incense in liturgical practice and prayer most likely affects our limbic system and helps put us in a proper frame of mind for worship. Problems occur when there is over-functioning or under-functioning in these structures of the brain. The SPECT scan brain imaging research can help us to distinguish different types of anxiety and depression. 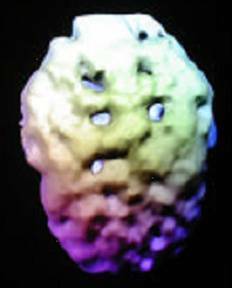 Viewing before and after treatment scans has given us useful information of what medicines, psychotherapies, and even alternative therapies can calm or stimulate centers in the brain. It is important to note that there is concern by some that brain scan research might be overstated or there is not enough empirically validated data. However, this can inspire us to do further research to validate or invalidate the findings as the case may be. Let us look at various treatments that relate to spiritual practice that can help heal the mind. Those who struggle with anxiety in the form of obsessional thinking, obsessive compulsive disorder in a cingulate way, already have a mechanism for repetitious prayer as we have already mentioned For the person who thinks too much, a scripted and repetitious prayer can be useful. Reading the Holy Scriptures, the Bible, is a great source of healing. Praying the Psalter or book of Psalm is a form of meditation that helps redirect the afflicted from his or her own thinking. It speaks to our hearts and fills our minds with hope. As we read the psalms, our minds begin to focus on the words and it reframes our suffering into something meaningful. That suffering is part of our salvation process. It also gives us an eternal perspective in our current circumstances. The “Six Psalms,” from the Orthodox Matins service are six specific psalms that connect with the wounded and despairing heart and take it to a place of healing. Each psalm alternates between man’s illness of the soul and on God’s love and healing. The early church father’s discussion on the origin of thoughts and how to deal with them is something that every psychotherapist can benefit from. They explain that thoughts are generated from three sources—God, the devil and ourselves. They speak of a certain type of assaultive thought or thought/image that attacks a person, called logismoi. For those who embrace both a spiritual and material worldview, this might bring great relief to know that these undesirable thoughts might not be their own. Understanding that everyone struggles with them and that one might not be actually committing a sin just by having a thought come to them can alleviate a lot of guilt and shame. Resentments, jealousies, self-doubts, fears and anxieties can be logismoi just as tempting as thoughts of lust, addiction, anger and revenge. The presence of logismoi do not necessary reflect upon the level of spirituality for they afflict even the holiest of people. How interesting it would be to use this paradigm for understanding obsessive-compulsive disorders, schizophrenia, bipolar disorder and addiction. The spiritual tradition teaches that there are five levels of influence of logismoi: assaultive stage, interactive stage, consent, captive and passion. The assaultive stage is when the thought initially comes to the person, very much like an unwanted salesperson or telemarketer. If we don’t ignore the thought at this level and begin to interact or entertain it we are moving to the second level. In both of these levels, the fathers say that a person is free from sin regarding these thoughts. When we give consent for this thought to enter our heart and we are planning to do the behavior, then we are sinning. The captive stage is when we are engaged in the sinful behavior and passion occurs when we become so completely living in the sin that it begins to run us. Understanding this model of logismoi can be useful for the clinician, and it resembles cognitive behavioral therapy in some respects. How many of us know individuals who suffer from neurotic guilt at the first two levels and think that they have committed a grave sin just by thinking it? There are also people who suffer from addiction who could benefit from understanding the stages of walking into the passion or addiction. Healing for them is to move backward up the stages to where it has moved from a compulsion, to a behavior, to just sinning in thought, and finally to just a “passing thought.” How many individuals who suffer from domestic violence begin the cycle by entertaining thoughts of how unjustly they are being treated by their family, which escalates into violence? Some therapies seek to redirect and replace unhealthy thoughts with more realistic ones which I think is very useful; however, it is also quite interesting to think about completely ignoring the thought to let those neurons die by closing the door on the salesman. St. Paul says “we take captive every thought to make it obedient to Christ” and encourages us to think on whatever is true, lovely and praiseworthy. By ignoring the thought, that is, not even engaging it, the thought eventually goes away. This process of healing can be arduous and long, but the person who is tenacious and faithful will make progress. Praying the Jesus Prayer every time one is tempted or discouraged by an assaultive thought not only accomplishes something in the spiritual world that is beyond description, but perhaps builds new neurological pathways and helps old patterns to die. This is similar to the behavioral technique of “thought stopping” used by cognitive behavioral psychologists. Depression, “the demon that stalks at noonday,” as the early Christians called it is still a mystery to us in many ways. Feelings of helplessness and hopelessness, fatigue, difficulty concentrating, and problems with appetite, libido and sleep are just some of the symptoms. The effectiveness of antidepressant medication has helped thousands in gaining and maintaining neuro-chemical balance. Studies have suggested that cognitive therapies have been equally effective as antidepressant medication in treating depression. How chemically related are our thoughts? What does spiritual practice offer us for the treatment of depression? Having lower serotonin levels may make us more open to spiritual experiences according to Dr. Lars Farde, professor of psychiatry at Karolinska Institutet in Stockholm, Sweden. Dr. Persinger reduced depression through electromagnetic fields over the temporal lobes of closed brain injured patients. Could prayer cause activity in the temporal lobes that might help alleviate depression? Boston University psychologist George Stavros, Ph.D. found that those who prayed the “Jesus Prayer” for 10 minutes a day, for 30 days found a significant reduction in depression, anxiety, hostility, and feelings of inferiority to others. The work of Dr. Richard Davidson, a director of the Laboratory for Affective Neuroscience at the University of Wisconsin using functional M.R.I. 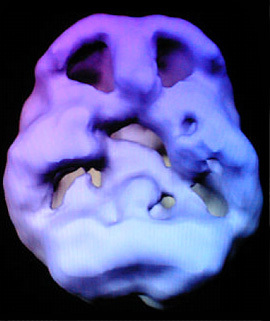 and advanced EEG analysis, has identified an index for the brain's set point for moods. He pointed out that a happiness index could be established by comparing the activity of the right prefrontal cortex and right amygdala, which involved negative emotion and thought, with the left prefrontal cortex that correlates with feelings of happiness. Interestingly enough, this index appears to be able to be affected through the spiritual practice of meditation and the restructuring of thinking; but it also appears to be somewhat static so that people who have won the lottery or lost everything tend to stay at the same index level. In other words, external events don’t make as happy as internal practices of thinking and being. Those struggling with a “limbic” type of depression do well with comforting and connecting types of psychotherapy which helps the client to process emotion and identify negative thought patterns. Our thoughts can color our world and filter reality. Thus, by challenging our thinking in respectful way, we can begin to see and interact with the world differently. Antidepressant medications that help a limbic system type of depression include tricyclic antidepressants and Wellbutrin. One contemporary monk talks about how the two thieves at Jesus’ crucifixion each had ‘thought factories,” that is their minds. The one on the left, manufactured only negative thoughts, which blinded him from seeing Christ and he mocked him. On the contrary, the thief on the right, manufactured positive thoughts most of his life and saw Christ for who he was, and asked to be remembered in his kingdom, which was granted to him. Those who suffer from addiction usually have both decreased functioning in the prefrontal cortex and overactivity in the cingulate gyrus. On the one hand, the poor functioning of the prefrontal cortex affects perception and judgment, causes them not to think about the consequences of their own behavior. On the other hand, there is a tendency to worry and think so much, that they are looking for immediate relief anyway they can. "If there is a God, let him show himself! I am ready to do anything!" Suddenly, the hospital room "lit up with a great white light." A strange ecstasy flooded through him. "A wind not of air but of spirit was blowing," was how he described it. "I felt at peace ... and I thought, no matter how wrong things seem to be--things are all right with God and his world." Bill was discharged on December 18, 1934. He never took another drink of alcohol. After his conversion, Bill Wilson and others formed groups where the 12 steps of AA were practiced which interestingly enough parallel the path of healing in the early Christian church. Admitting powerlessness,,  getting a sponsor and working through these steps that involved rigorous honesty, confession of the exact nature of one’s wrongs, examining of one’s conscience, and praying scripted prayers are all part of the steps for recovering alcoholics to gain and maintain sobriety. The surrender of one’s will is essential to this process, for an addict usually has an inflated ego and tries to control their external environment. The words of St. John the Baptist who said, “I must decrease and he must increase” are fitting. St. Maximos the Confessor, (580 AD) pointed out that man has two wills, the gnomic will and the natural will. This distinction helps the clinician in working with people who suffer from compulsive behavior. The recovering addict understands that they cannot fight their addiction alone with “will power,” but only through the Grace of God and the surrendering of their will. In short, the “gnomic will” was affected in the fall of humanity and is directed toward the passions. Only through surrendering and admitting powerlessness, can one join their will with the will of God and choose rightly. The natural will gives us the ability to choose a certain direction or action rather than be captive of the passions. This distinction is helpful for those suffering from mental afflictions involving the powerlessness of the human will, like addiction, borderline personality disorder, anxiety and depression. It is said in the program of Alcoholics Anonymous that the proper use of the will is to surrender it to God. The alcoholic is also encouraged to say morning and evening prayers and to improve their conscious contact with God through prayer and meditation praying only for knowledge of God’s will and the power to carry it out. The surrendered addict is very much like the monastic who only wants one thing, to connect with God through self-denial, and thus gain the gift of sobriety. This surrendering of the will can be seen in a story from the classic, “The Way of the Pilgrim” which describes the journey of a Russian pilgrim who sojourned not just over land, but over the passages of his own heart through interior prayer and the use of “the Jesus Prayer.” On one of his many adventures, he stays with a couple where the gentleman had been an alcoholic. The man talked about his struggles with the “drink” and when he was tempted, he immediately read a chapter from his Gospel book. He continued reading a chapter until the temptation would pass. He reflexively responded without giving himself a chance to think or drink, creating a new ritual. Dr. Andrew Newberg at the University of Pennsylvania and the late, Dr. Eugene d’Aquili did SPECT brain imaging of a Tibetan Buddhist monk who was in deep meditation as well as a Franciscan nun who was in deep prayer for 45 minutes. Each showed an increase of blow flow to the prefrontal cortex, the area of concentration and demonstrated decreased activity in the orientation association area. It is not surprising that prayer which requires attention and focus, increases activity in the prefrontal cortex. The decrease of activity in the orientation association area, gives us the sensation of losing one’s self. Dr. Vilayanur Ramachandran, at the Center for Brain and Cognition, University of California, believe spiritual experiences affect the temporal lobes and the limbic system. People who suffer from temporal lobe epilepsy have such powerful spiritual experiences that everything else in their life seems unimportant. Dr. Ramachandran found that those who suffer from this, do not have the normal emotional response when shown pictures of violence, sexual images or even four-letter words, but do have a strong response when shown images of religious symbols. Could it be that as one approaches communion with God, that these spiritual parts of the brain will become more and more activated, while the passions begin to die and the person begins to move towards “apatheia,” that is, one who is not ruled by their passions. St. John Climacus even speaks of those who had struggled with the passion of lust, who drove out this passion with divine love for God. Another very interesting theory is that our brains are more like a receiver rather than a storage unit of memory. There are problems with the current model of the brain and memory. Those who have near death experience even though their brains are not functioning appear to remember medical procedures done to them with amazing accuracy. Additionally, when a certain memory is triggered by an electrical probe to the brain, stimulating that exact same spot a moment later produces a different memory. Dr. Karl Pribham hypothesizes that memory is holographic and that one part contains the patterning of the whole. Salamanders can retain memory even when having up to 90% of their brains removed. Their brains can be put back in backwards, and sliced and still they will retain memory if a least part of the brain was kept intact. If memory exists partly outside of our brains and this information is stored in a great memory bank, how does this correlate with our understanding of “logismoi,” prayer and communion with the departed saints and God? Drs. Newberg and D’Aquili suggest that “rythymic ritualized stimulation. . . can drive the limbic and autonomic systems, which may eventually alter some very fundamental aspects of the way the brain thinks, feels and interprets reality.” Andrew Neher (1962) in his research on drumming discusses how hyperventilation, fasting and smells affect the body’s physiology. It would be interesting to research the physiological processes of fasting, “praying the Jesus prayer” and the use of incense and how it correlates with physiology. “Repetitive stimuli can evoke intense discharges from both the arousal and quiescent systems,” according to Newberg and D’Aquili. Meditation can induce not just a relaxation response but also variations in heart rate and alterations in the autonomic nervous system. Newberg and D’Aquili believe that ritual has an effect on the hypothalamus and the autonomic nervous system and the rest of the brain. “Prayer, religious services, meditation and physical exertion can lower blood pressure, decrease heart rate, lower rates of respiration, reduce levels of the hormone, cortisol, and create positive changes in the immune system function,” according to Peng and his associates. All these systems are connected with the hypothalamus and the autonomic nervous system. Liturgy with its chant, incense, movement, both fast and slow, affect both the arousal (sympathetic nervous system) and quiescent (parasympathetic nervous) centers of the brain. Rituals that are faster, for example doing a 100 prostrations, may cause an arousal of the brain and as it increases activity in the hippocampus, the ‘diplomat’ of the brain, which helps to regulate the flow of neural input between the regions of the brain, thus helping maintain a sense of equilibrium. In short, when the brain is too activated, the hippocampus helps calm it down. One such instance of a system having less input during meditation is the orientation association area, located at the posterior section of the parietal lobe, which gives us a sense of our body in space and helps distinguish us from the rest of the world. When there is less input, or no input, there is a sense of connection with the rest of the world in a spiritual way and a loss of a sense of self. St. Paul writes, “I know a man in Christ who fourteen years ago—whether in the body I do not know, or whether out of the body I do not know, God knows—such a one was caught up to the third heaven.” Throughout history, many people have experienced such states in prayer that St. Paul describes. Slower rituals, making the sign of the cross, reciting the Jesus prayer, chant and other repetitious prayers could activate the quiescent system and could have a calming effect on the hippocampus and also create this diffusion of self. The “self” according to some researchers appears to function similarly to “hallucination.” Could the healing process of the Church help us see gain access to the spiritual world as the “hallucination of self” begins to fade? It appears that prayer and meditation helps us lose our ego and our thinking about self. Could this be correlated with what the early church fathers meant by “kenosis,” that is, the emptying of self? It partly might be, but I believe that “kenosis” is a deeper process than just affecting some areas of the brain. There is an emotional component to spiritual practice as well. Newberg and D’Aquili point out that ritualized behaviors almost always produce intense emotional experiences and have a profound effect on the limbic system and autonomic nervous system. Gellhorn and Kiely, (1972) found that repetitive visual and auditory stimuli, found in chanting, singing, and dancing could produce intensely pleasurable feelings. Chanting, music, incense and the contemplation of icons are part tradition of the Christian church which for many produce such pleasurable states, but this is not the goal for the worshipper. Newberg and d’Aquili suggest that the movements could activate the amygdala, a small almond shaped center in the limbic system that deals with fear and arousal and that blended with the quiescent system might create a “religious awe.” The saying “to remember death and despair not,” helps the Christian to remember their purpose in this life which is purification of the heart and yet to stay balanced and hopeful. Mental health practitioners have encountered many who have been abused and traumatized and suffer from post-traumatic stress disorder and have their amydalae altered by such experiences. Here the clinician can guide them into a balanced approach in their remembrance of death so they don’t become traumatized by the ascetic method. While there is practical application and inspiration that can be gained by reading the lives of the saints, we must be careful to choose the right aspects for us living in the world. From the hermit’s cell to the counselor’s office we see that both of these relationships offer a place for healing and growth. This relationship is based on love, hope and trust. Professional psychology does not discuss love very much but research has indicated that people were better helped and therapy was more effective when clients were offered hope and they felt that their therapist’s cared for them. Studies of empathy and positive belief that the therapist has for the alcoholic clients has been correlated with length of sobriety even up to two years after treatment. The Guide ought not to tell all those who come to him that the way is straight and narrow, nor should he say to each that the yoke is easy and the burden is light. Rather he should examine the case of each man and prescribe medicines which are suitable. To those who are weighed down by grievous sins and are prone to despair, he should administer the second as the appropriate remedy, but to those who are inclined to haughtiness and conceit, the first. The Christian east views each person’s healing individually and saw that the same medicine could not be given to each person, as each person is unique. Certainly, this correlates with a phenomenological and existential approach in contemporary psychology. Skilled spiritual fathers and mothers, who have acquired noetic knowledge, that is spiritual knowledge, they understand their disciples at a very deep level to know when to comfort and when to admonish. The goal for the desert father was to help his disciple through a purification process so that he might attain theosis, that is, union with God. The counselor seeks to assist their client through a process to helping them develop a healthier personality, heal from mental affliction and to gain better relationships. The paths look similar, but they are different things. What could we learn from the desert fathers? Could we help our clients, at least those who share a Christian view of the world, to see themselves at this deeper level of character. Could we take the model of the passions, that is, pride, anger, lust, sloth, avarice, envy, or anxiety and implement it helping people ask, “what is the one thing that if I work on, will bring me the greatest change in my life?” Could we prescribe daily prayer and meditation to the clients who are open to it to help them not just heal their minds and bodies, but to also save their souls? There is a little story that brings some perspective when studying spiritual experiences from a scientific view. A man saw his friend searching for something on the ground. “What have you lost, my brother?” he asked. “My key,” said the man. Abba Evagrius, St. Isaac the Syrian, St. John Climacus, St. Anthony and many others Church fathers discuss the role of “passions” which were unnatural states of sickness as a result of the fall of Adam and Eve. Nous, Greek for mind, eye of the mind, the aspect of the mind that “attends” to something. The Church fathers teach that after the fall, the nous attended not to God as before, but had been darkened and now attends to many things causing passions. Logismos, sing., logismoi, pl. Greek for “thought-image.” The church fathers discuss undesirable or negative logismoi and how to deal with them by ignoring them and through prayer. This concurs with the “thought stopping” method of Cognitive Behavioral Therapy. Daniel Amen, M.D. is a clinical neuroscientist, child and adolescent psychiatrist and medical director of the Amen Clinic for Behavioral Medicine in Fairfield, CA. 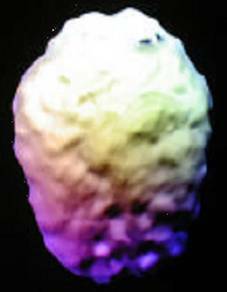 His clinics have scanned more than 30,000 brains using SPECT [Single Photon Emission Computed Tomography] imaging and has connected functioning of the brain with cognition, emotion and behavior. Daniel. G. Amen, Healing the Hardware of the Soul (New York: The Free Press, 2002) pg. 31. Gaster B., Holroyd. St John's wort for depression: a systematic review. Archives of Internal Medicine, 2000, 160(2), p.152-6. Eight controlled studies which had good methodology revealed that St. John’s wort was effective better than the placebo. See also Birdsall, T. C. 5-Hydroxytryptophan: a clinically-effective serotonin precursor. Alternative Medicine Review: A Journal of Clinical Therapeutic, 1998, 4 pg. 271-80. The practice of the Jesus Prayer is referred to in many Christian writings, but one that stands out is the The Way of the Pilgrim and The Pilgrim continues his Way. This anonymous pilgrim learns the use of the Jesus prayer by his starets. (teacher/spiritual guide) St. Simeon the New Theologian is cited in the this book, “Sit down alone and in silence. Lower your head, shut your eyes, breathe out gently, and imagine yourself looking into your own heart. Carry you mind, that is, your thoughts from your head to your heart. As you breathe out, say, ‘Lord, Jesus Christ, have mercy on me.’ Say it moving your lips gently, or simply say it in your mind. Try to put all other thoughts aside. Be calm, be patient, and repeat the process very frequently.” (pp. 10-11) Eventually the prayer becomes part of your inner world. Persinger, Michael A. “Vectorial Cerebral Hemisphericity as Differential Sources for the Sensed Presence, Mystical Experiences and Religious Conversion.” Perceptual and Motor Skills, 1993, 76, 915-930. The “limbic system” was first termed by the French neurologist, Pierre Paul Broca in 1878. Anatomist, James Papez in 1935 studied people who had died from rabies. The limbic system was infected with the virus and victims before their death had violent emotional fits. He concluded that the limbic system must be involved with emotional behavior. Weingarten, S. M., D. G. Charlow, and E. Holmgren. 1977. The relationship of hallucinations to the depth of structures of the temporal lobe. Acta Neurochirurgica 24:199-216. Horowitz, M. J., J. E. Adams, and B. B. Rutkin. 1968. Visual imagery on brain stimulation. Archives of General Psychiatry 19:469-486. Richard E. Cytowic. The Man Who Tastes Shapes (New York: G. P. Putnam’s Sons, 1993), pp. 160-161. V.S. Ramachandran and Sandra Blakelee, Phantoms in the Brain (New York: HarperCollins Publishers, 1998) pg. 177. Cauffield J.S., and Forbes, H.J. Dietary supplements used in the treatment of depression, anxiety, and sleep disorders. Lippincotts Primary Care Practce. 1999; 3(3):290-304. Psalms 3, 38, 63, 88, 103, and 143 in the Orthodox Matins Service. Psalms 3, 37, 62, 87, 102, and 142 in Protestant Bibles. St. John Cassian, The Conferences, Chapter XIX. Antonuccio, D. O.; Danton, W. G.; and DeNelsky, G. Y. (1995) Psychotherapy versus medications for depression: Challenging the conventional wisdom with data. Professional Psychology: Research and Practice, 26:574-585. Dr. Lars Farde, professor of psychiatry at Karolinska Institutet in Stockholm, Sweden, and co-author of, “The Serotonin System and Spiritual Experiences,” published in the November issue of the American Journal of Psychology. According to Farde, the receptor neurologists call 5-HT1A “is one of the most important because it serves as a marker for the entire serotonin system.” Using PET scans measuring serotonin and the “Temperament and Character Inventory” he found a strong correlation between low density of serotonin and openness to spiritual experiences. He said the connection furthers the belief that brain function may impact openness to spiritual experiences. Baker-Price L., Persinger, Michael A. 2003. Intermittent burst-firing weak (1 microTesla) magnetic fields reduce psychometric depression in patients who sustained closed head injuries: a replication and electroencelphalographic validation. Perceptual and Motor Skills. 2003. (3 Pt. 1) 965-74. Stavros, George. Spirituality and Health: The Soul/Body Connection. Winter 1999. Daniel Goleman, “Finding Happiness: Cajole Your Brain to Lean to the Left” New York Times, February 4, 2003 The work of Dr. Richard Davidson, director of the Laboratory for Affective Neuroscience at the University of Wisconsin. Dr. Davidson, in recent research using functional M.R.I. 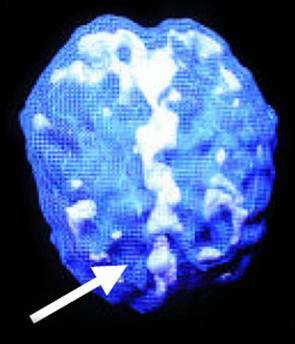 and advanced EEG analysis, has identified an index for the brain's set point for moods. Priestmonk Christodoulos, Elder Paisios of the Holy Mountain (Mt. Athos: Holy Mountain, 1998) pp. 30-31. Thunberg, Lars, Microcosm and Mediator: The Theological Anthropology of Maximus the Confessor (Chicago: Open Court Publishing Co., 1995) pp. 226-227. The Way of the Pilgram and The Pilgrim continues his Way, translated by R. M. French, (New York: HarperCollins Publishers, 1998) pp. 23-26. St. Clement of Rome as cited in The Way of the Fathers by Michael Aquilina (Huntington: Our Sunday Visitor, 2000) pg. 77. Melvin Morse and Paul Perry, Where God Lives (New York: HarperCollins Publishers, 2000) p.50. Near death experiences of children who describe in detail medical procedures which they would otherwise not know. Children will draw accurate pictures of resuscitating procedures while their brains are dying. Morse, Ibid., pg. 56. Indiana University biologist, Paul Pietsch’s research on salamanders and memory. Andrew Newberg, Eugene d’Aquili, and Vince Rause, Why God Won’t Go Away (New York: Ballantine Books, 2001) pg. 79. Peng, C.K, J.E. Mietus, Y. Liu, et al. 1999. Exaggerated heart rate oscillations during two meditative techniques. International Journal of Cardiology 70:101-107 as cited in Why God won’t Go Away by Andrew Newberg and Eugene d’Aquili. Andrew Newberg; Eugene d’Aquili; and Vince Rause, op. cit., pg. 86. Andrew Newberg; Eugene d’Aquili; and Vince Rause, op. cit., 86. See the research of Larson, D. B., J.P. Swyers, and M.E. McCollough, 1997. Scientific Research on Spirituality and health: A Consensus Report. Rockville, MD. : National Institute of Healthcare Research. Also see Koenig, H.G., 1999. The Healing Power of Faith. New York: Simon & Schuster. Also see Corby, J.C., W.T. Roth, V.P. Zarcone, and B.S. Kopell. 1978. Psychophysiological correlates of the practice of Tantric Yoga meditation. Archives of General Psychiatry 35:571-577. See also Jevning, R.R. Anand, M. Beidebach, and G. Fernando. 1996 Effects of regional cerebral blood flow of transcendental meditation. Physiology and Behavior 59:399-402. Eugene d’Aquili and Andrew B. Newberg, The Mystical Mind: Probing the Biology of Religious Experience, (Minneapolis: Fortress Press, 1999) pg. 99. Andrew Newberg and Eugene d’Aquili. op cit., pgs. 86-87. Gellhorn, E., and W. F. Kiely. 1972. Mystical states of consciousness: Neurophysiological and clinical aspects. Journal of Nervous and Mental Disease 154:399-405. Rauch S.L. ; Whalen P.J. ; Shin L.M. ; McInerney S.C.; Macklin M.L. ; Lasko N.B. ; Orr S.P. ; Pitman R.K. Exaggerated amygdala response to masked facial stimuli in posttraumatic stress disorder: a functional MRI study. Biological Psychiatry Volume 47, Number 9, 1 May 2000, pp. 769-776(8). Don Campbell as cited in Change Your Brain, Change Your Life by Dr. Daniel Amen (New York: Three Rivers Press, 1998), pg. 205. St. Basil as cited in The Way of the Fathers by Michael Aquilina (Huntington: Our Sunday Visitor, 2000) pg. 75. St. Augustine as cited in The Way of the Fathers by Michael Aquilina (Huntington: Our Sunday Visitor, 2000) pg. 75. A study at the University of New Mexico could predict from the degree of empathy shown in treatment by counselors during treatment with variance in drinking outcomes. (2/3 variance-6 months, ½ variance-12 months and ¼ variance after 24 months. High confrontation from the therapist is also correlated with high drop out rate by Miller, Benefield, and Tonigan, 1993. St. John Climacus, “To the Shepherd” in The Ladder of Divine Ascent (Boston: Holy Transfiguration Monastery Press, 1979) pg. 235-36. Metropolitan Heirotheos Vlachos, The Illness and Cure of the Soul translated by Effie Mavromichali, (Levadia: The Birth of the Theotokos Monastery, 1993, pp. 48-52. The Metropolitan also discussed this in a presentation in Tacoma, Washington in April 2000 at St. Nicholas Greek Orthodox Church. Alcoholics Anonymous, 4th ed. New York: Alcoholics Anonymous World Services, Inc., 2001. Amen, Daniel G. Change your Brain, Change your Life. New York: Three Rivers Press, 1998. Amen, Daniel G. Healing the Hardware of the Soul. New York: Three Rivers Press, 2002. Cytowic, Richard E. The Man Who Tastes Shapes. New York: G. P. Putnam’s Sons, 1993.
d’Aquili, Eugene and Newberg, Andrew B.. The Mystical Mind: Probing the Biology of Religious Experience. Minneapolis: Fortress Press, 1999. McGuckin, John Anthony. The Book of Mystical Chapters. Boston: Shambala Publications, Inc., 2002. Morse, Melvin and Perry, Paul. Where God Lives. New York: HarperCollins Publishers, 2000. Newberg, Andrew, d’Aquili, Eugene, and Rause, Vince. Why God Won’t Go Away. New York: Ballantine Books, 2001. St. John Climacus. The Ladder of Divine Ascent, translated by Colm Luibheid and Norman Russell. Mahwah: Paulist Press, 1982. Thunberg, Lars. Microcosm and Mediator: The Theological Anthropology of Maximus the Confessor. Chicago: Open Court Publishing Co., 1995. The Way of the Pilgram and The Pilgrim continues his Way, translated by R. M. French. New York: HarperCollins Publishers, 1998. Article published in English on: 14-2-2011.